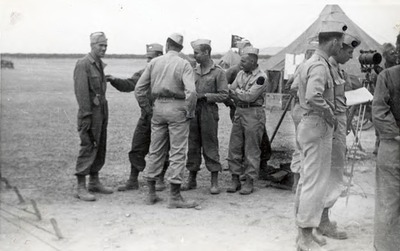 Soldiers standing around having a discussion. Annotated in album: Lt. Weir, Gavin, Vandervoort. Uniform insignias blacked out.